Weed regularly to prevent weeds setting seed for next year. Water copiously if we have a dry spell. Harvest crops while they are in peak condition. Make preserves such as jams and chutneys or cook and freeze batches of soup or sauce. Dry onions, garlic and shallots for winter storage. Lift and lay them out somewhere well-ventilated and dry for two or three weeks. They can then be stringed, click here to find out how to do this. Any onions that show signs of mould or rot should be eaten straight away because they will not store. 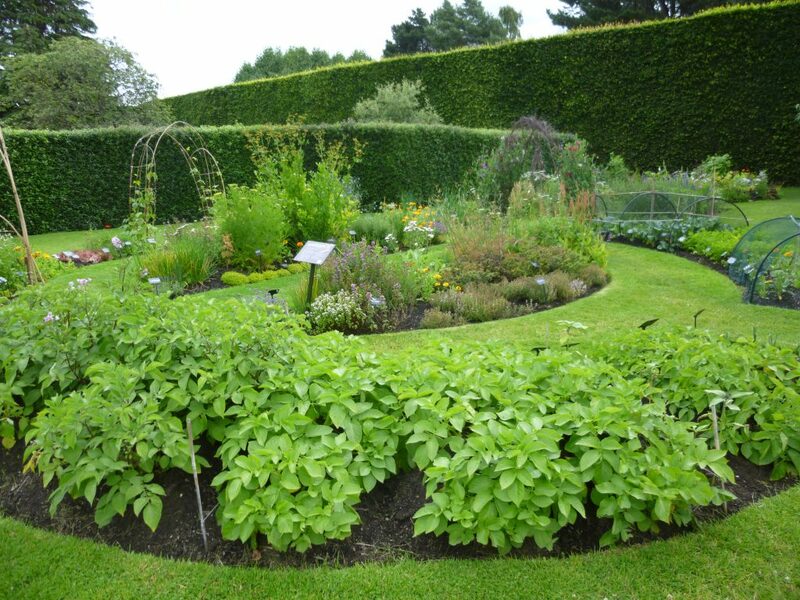 Green manures for vacant plots to protect the soil and build fertility. We use winter tares (Vicia sativa) and Phacelia tanacetifolia. Order onions, garlic, broad beans and peas for autumn sowing. Feed tomatoes every couple of weeks with a high potassium tomato fertiliser. Remove a proportion of the lower leaves to allow greater air circulation, this discourages disease. Pinch out side-shoots and nip the top out of the plant once four trusses of tomatoes have developed. Practice good hygiene. 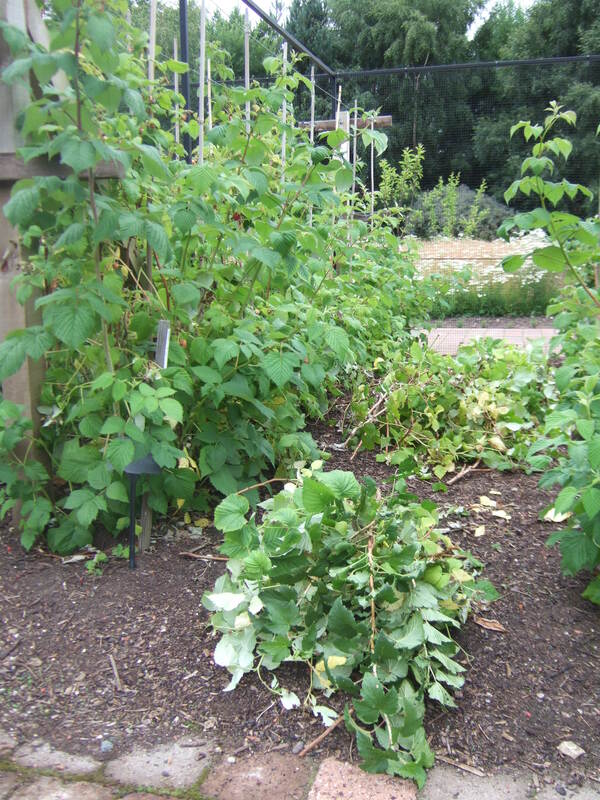 Be vigilant; remove dead or diseased plants and foliage quickly to prevent spread the spread of disease. Erect nets to protect winter crops from hungry pigeons. Be prepared, even if your brassicas are not being attacked now, when winter arrives there is very little else for pigeons to eat so plants are very vulnerable. Summer prune trained fruit trees such as espaliers, cordons or fans to maintain their shape and productivity. The exact timing depends on how the new growth is developing. Initially new shoots are soft and flexible, through the season they become stiff and woody. Summer pruning should be carried out when the bottom third of the new shoots is stiff and woody. To find out how to summer prune your fruit trees click here. Prune summer fruiting raspberries once the fruit has been picked. Cut the old canes to ground level; leave the new shoots to fruit next year. 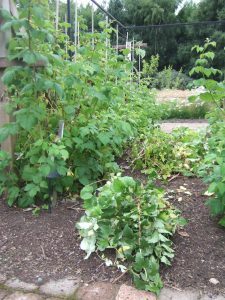 For more information on pruning raspberries click here.